LA Times, one of the most read newspapers in the United States recently signed up as a verified Brave Browser publisher. It is one of the largest publishing houses in the world with several Pulitzer Prices in its bag. According to the March 2019 analysis of latimes on SimilarWeb, it had 37.1 million visits. It has the fourth largest circulation among the United States newspapers. The publishing house can now receive rewards on their content directly through contributions and tips from the users. The Brave Brower blocks the adds that generally appear on the websites. Furthermore, users who choose to see the adds earn about 70% of the revenue from the add makers. These revenues can then be further put in the auto contribution balance which pays the website content creators in proportion to their visits. The number of downloads of the BAT token has exceeded 10 million on Android. The registration of significant publications on the system is suggestive of the revolutionary application of Blockchain that Brave Browser has implemented along with the BAT cryptocurrency. Basic Attention Token [BAT] has seen unprecedented growth in the past two days. BAT reached it’s the highest value in the past four months breaking the $0.30 value it attained after the Bitcoin price surge on 2nd April 2019. 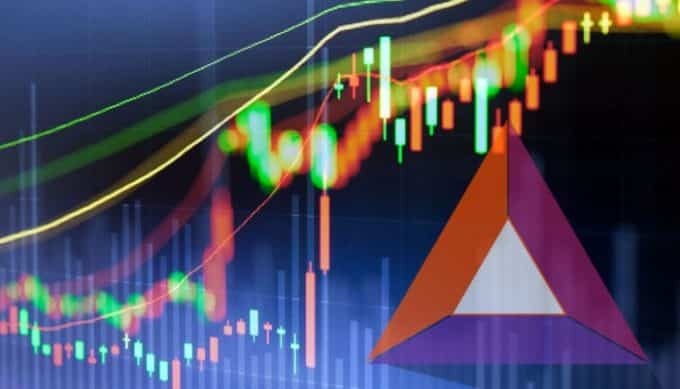 While most of the other coins continue to trade in a small range, BAT token is rising with the developments on the Brave Browser. BAT/BTC 4-Hour Chart on BittrexThe rise on BAT towards the end of the week has been 20% on the BTC scale since 12th April. The price of BAT at 9: 30 hours on 14th April is 0.317. It is trading 5.38% higher on a daily scale. The RSI on the 4-hour scale has entered the over-bought region. However, the RSI on the daily scale is between the over-bought and over-sold region at 60. The price of BAT token at the beginning of this year was $0.134. It has gained 136.5% value since the beginning of this year. Do you think the rise on BAT will continue or it is due for a correction? Please share your views with us.